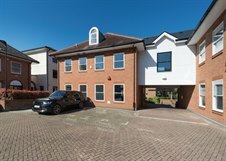 Cattaneo Commercial, acting on behalf of Columbia Threadneedle Investments, have just completed the letting of Unit 5, AC Court, High Street, Thames Ditton, Surrey KT7 0SR. This 3,342 sq ft office building has just been comprehensively refurbished and was let to a well established construction group at a new rental high for Thames Ditton. If you have a requirement for office premises please contact Andy Armiger on 020 8546 2166.